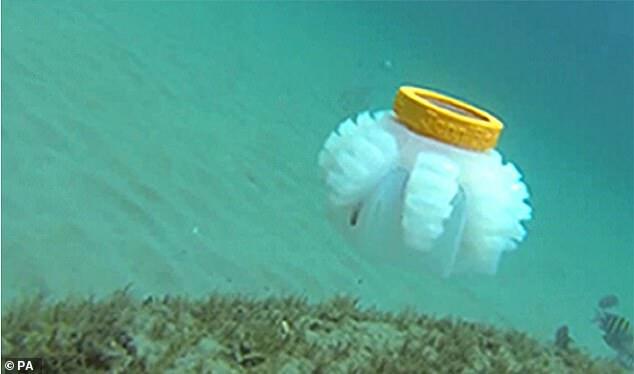 Scientists have built robot jellyfish that could one day be used to track and monitor fragile marine ecosystems. The soft robots can swim through openings narrower than their bodies and are powered by hydraulic silicon tentacles. Several of the bots have already been tested squeezing through holes cut into a plexiglass plate. 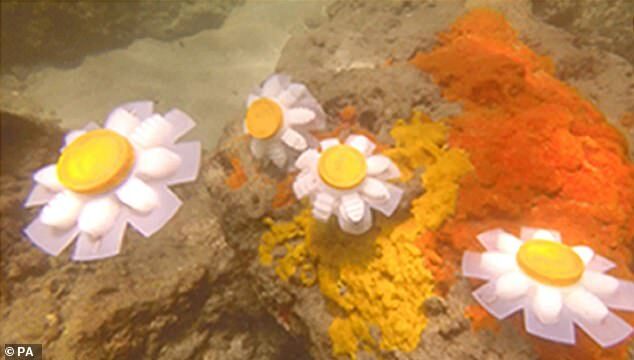 In future, these so-called 'jellybots' could be sent into delicate environments, such as coral reefs, without risking collision and damage. Creators of the artificial animal believe they could act as 'guardians of the oceans' without interfering with the delicate wildlife. Dr Erik Engeberg, one of the robot's inventors from Florida Atlantic University, said: 'Studying and monitoring fragile environments, such as coral reefs, has always been challenging for marine researchers. A hydraulic system is driven by two impeller pumps and allows the robot to swim and steer. Water from the surrounding environment is quietly pumped into the jellyfish, inflating its eight silicon tentacles. When the pumps are not powered, the tentacles' natural elasticity forces the water back out. This back and forth creates a swimming stroke that closely mimics that of the real-life jellyfish. Dr Engeberg said: 'Biomimetic soft robots based on fish and other marine animals have gained popularity in the research community in the last few years. 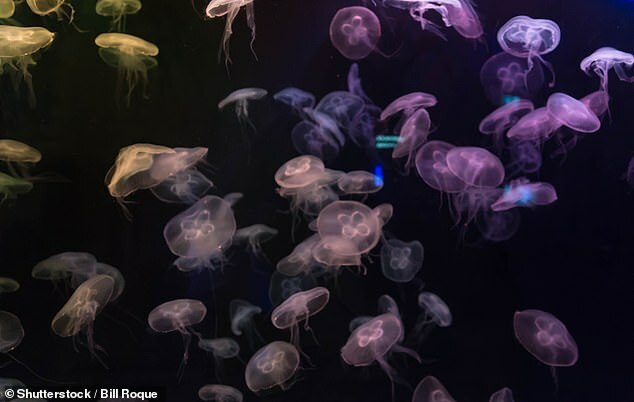 Jellyfish are excellent candidates because they are very efficient swimmers. He added: 'A main application of the robot is exploring and monitoring delicate ecosystems, so we chose soft hydraulic network actuators to prevent inadvertent damage. 'We found the robots were able to swim through openings narrower than the nominal diameter of the robot,' said Dr Engeberg. The research is published in the journal Biomimetics and Bioinspiration.